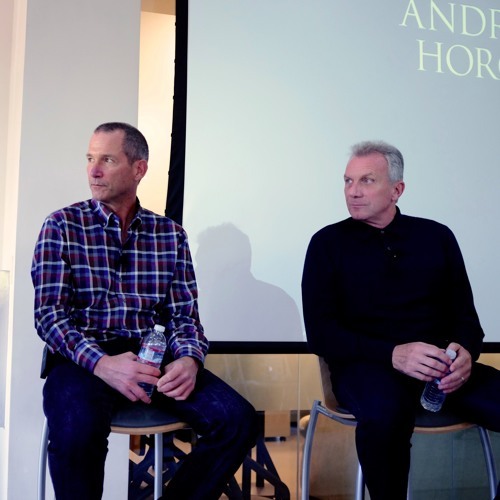 The NFL has descended upon Silicon Valley for Superbowl 50, and a16z was fortunate to have 30 of the world’s best football players post-up at the firm to talk about the intersection between the world of professional sports and venture capital. Joe Montana -- yes, the Hall of Fame 49ers quarterback – joins a discussion with a16z’s Jeff Jordan and Ben Horowitz about their approaches to tech investing and the startup ecosystem, how they manage the risk involved (there’s plenty), and whether athletes and other high-profile folks can -- and indeed should – get involved. Here’s one piece of common ground: The hardest thing for NFL legends and VC’s alike? Losing.